Estate GTL126 Promo Game Target 12 ga 2.75 1 oz 6 Shot 25Box|10Case in. Estate GTL128 Promo Game & Target 12 Ga 2.75 1 oz 8 Shot 25 Bx| 10 in. 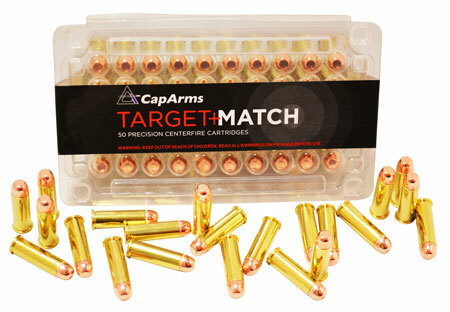 Estate GTL206 Promo Game & Target 20 Ga 2.75 7|8 oz 6 Shot 25 Bx| 10 in. Estate GTL2075 Promo Game & Target 20 Ga 2.75 7|8 oz 7.5 Shot 25 Bx| 10 in. Estate GTL208 Promo Game & Target 20 Ga 2.75 7|8 oz 8 Shot 25 Bx| 10 in. Estate HG1275 Upland Hunting Loads 12 Ga 2.75 1-1|8 oz 7.5 Shot 25 Bx| 10 in. 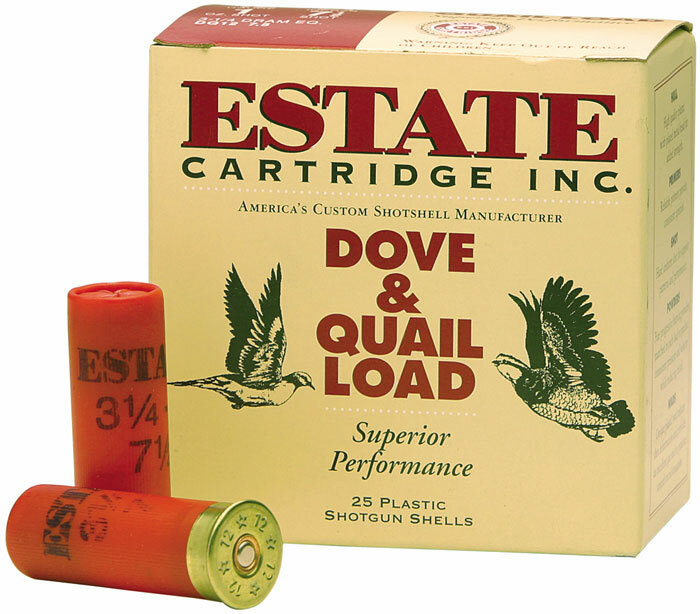 Estate HG128 Upland Hunting Loads 12 Ga 2.75 1-1|8 oz 8 Shot 25 Bx| 10 in. 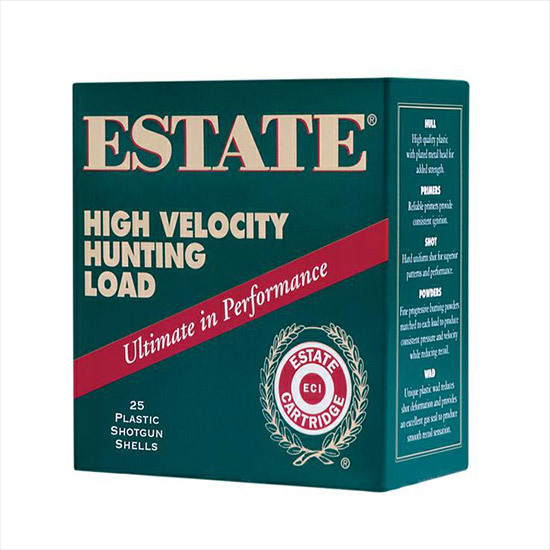 Estate HG206 Upland Hunting Loads 20 Ga 2.75 1 oz 6 Shot 25 Bx| 10 in. 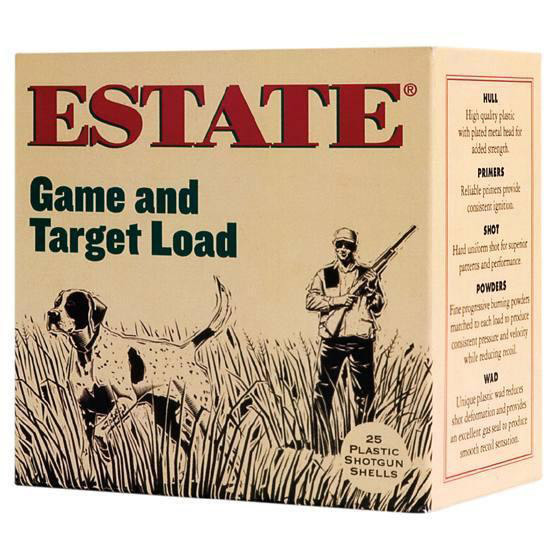 Estate HG208 Upland Hunting Loads 20 Ga 2.75 1 oz 8 Shot 25 Bx| 10 in. Estate HV128 High Velocity Hunting Loads 12 Ga 2.75 1-1|4 oz 8 Shot 25 Bx| 10 in. Estate HV204 High Velocity Hunting Loads 20 Ga 2.75 1 oz 4 Shot 25 Bx| 10 in. Estate HV166 High Velocity Hunting Loads 16 Ga 2.75 1-1|8 oz 6 Shot 25 Bx| 10 in. Estate HV205 High Velocity Hunting Loads 20 Ga 2.75 1 oz 5 Shot 25 Bx| 10 in. Estate HV2075 High Velocity Hunting Loads 20 Ga 2.75 1 oz 7.5 Shot 25 Bx| 10 in. Estate HVST12 High Velocity 12 Ga 2.75 1-1|8 oz 2 Shot 25 Bx| 10 Cs in. Estate HVST1235SF High Velocity 12 Ga 3.5 1-3|8 oz 3 Shot 25 Bx| 10 Cs in. Estate HVST1235SF High Velocity 12 Ga 3.5 1-3|8 oz BB Shot 25 Bx| 10 Cs in. Estate HVST123SF High Velocity 12 Ga 3 1-1|8 oz 2 Shot 25 Bx| 10 Cs in. Estate HVST123SF High Velocity 12 Ga 3 1-1|8 oz 3 Shot 25 Bx| 10 Cs in. Estate HVST123SF High Velocity 12 Ga 3 1-1|8 oz 4 Shot 25 Bx| 10 Cs in. 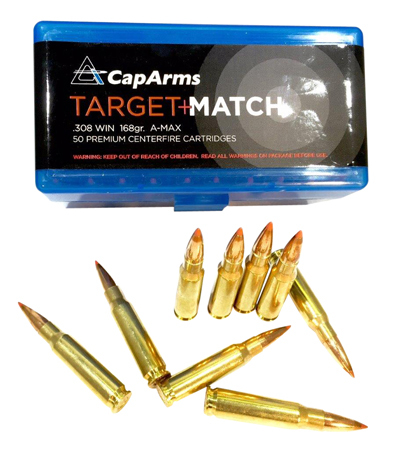 Estate HVST12M High Velocity 12 Ga 3 1-1|4 oz 3 Shot 25 Bx| 10 Cs in. Estate HVST12MM High Velocity Magnum Steel 12ga 3 1-3|8 oz 4 Shot 25Box|10Case in. Estate SS12H Super Sport 12 Gauge 2.75 1-1|8 oz 8 Shot 25 Bx| 10 Cs in. 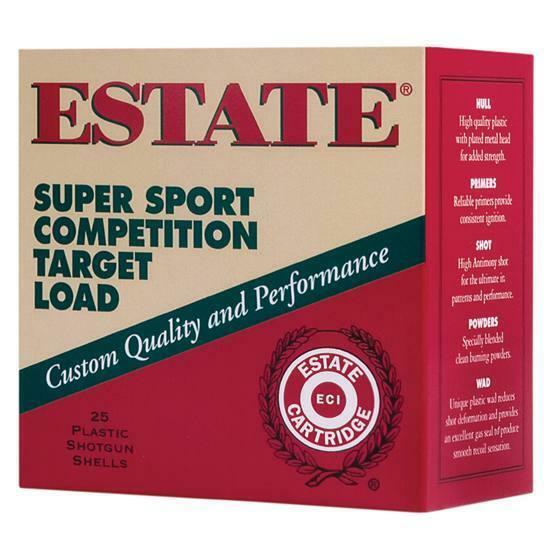 Estate SS12H Super Sport Target 12 ga 2.75 1-1|8oz 7.5 Shot 25Box|10Case in. 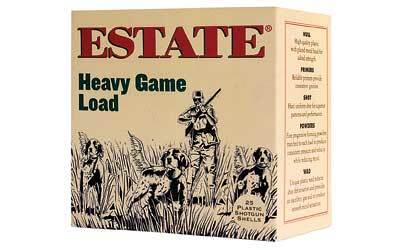 Estate HG2075 Upland Hunting Loads 20 Ga 2.75 1 oz 7.5 Shot 25 Bx| 10 in. Estate HV126 High Velocity Hunting Loads 12 Ga 2.75 1-1|4 oz 6 Shot 25 Bx| 10 in. Estate HVST12 High Velocity 12 Ga 2.75 1-1|8 oz 3 Shot 25 Bx| 10 Cs in. Estate HVST12 High Velocity 12 Ga 2.75 1-1|8 oz 4 Shot 25 Bx| 10 Cs in. Estate HVST12 High Velocity 12 Ga 2.75 1-1|8 oz 6 Shot 25 Bx| 10 Cs in.